Indepth, non-partisan analysis of issues of public debate by Congress’s think tank, the Congressional Research Service. You can view them by Topic or follow their RSS Feed of Most Recent Reports. 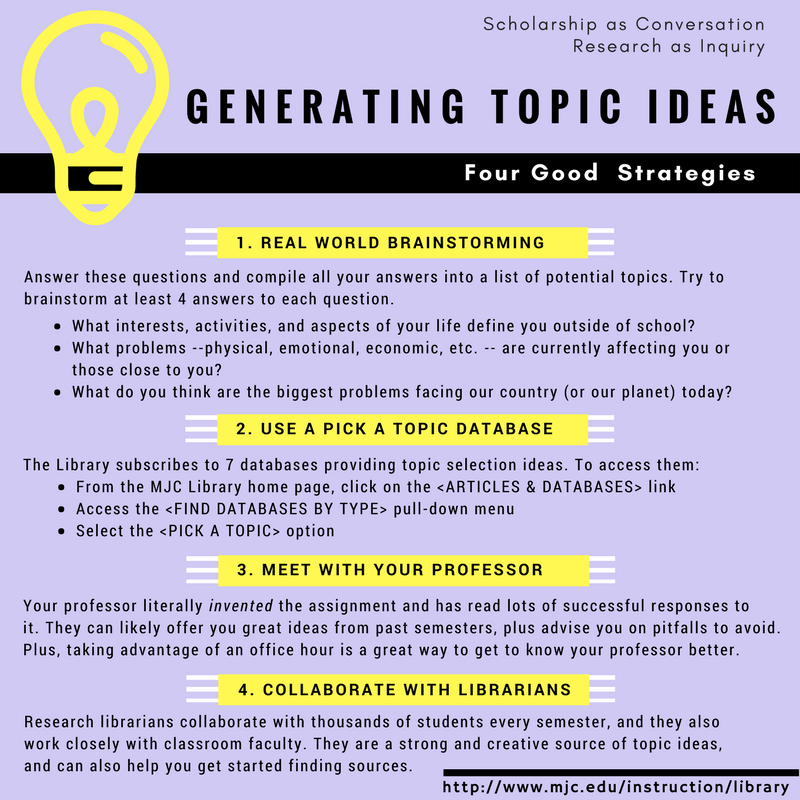 You can get ideas for research topics from several MJC article databases. Browse through lists of possible research topics. NewsBank’s Special Reports include news articles, images, videos, maps and other useful content grouped for convenience under specific topics and themes. Each of the over 60 reports feature current and historic coverage of current global issues and events. Today's Science: Need a Research Topic?